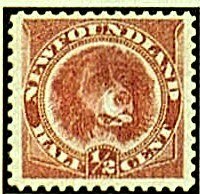 Between 1887 and 1896, Newfoundland issued three half cent stamps picturing Newfoundland Dogs (Scott #56-58) in Rose Red, Orange Red, and Black. The scarcest of the three is #57, printed in Orange Red, of which only 20,000 were issued. Scott '11 prices it at at $ 75.00 for unused and $45.- for used. Aside from being yet another example of an undervalued B.N.A. issue, I like this stamp because it's a Dog Topical. 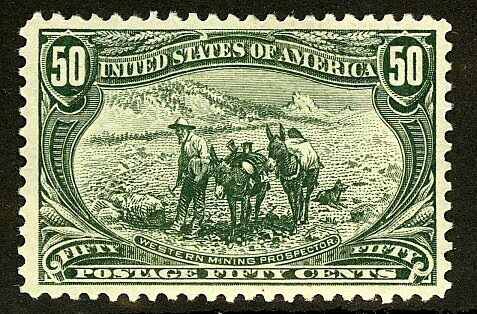 In fact, the Newfoundland Dog stamps were the first stamps picturing dogs ever issued. Animals are the most popular stamp collecting topic in the world, and since pet ownership is growing, especially in the emerging market nations, I think that Dog and Cat topicals will become more popular as well. A recent article about pet ownership in China cited research showing that the percentage of Chinese owning dogs increased by 40% from 1999 to 2004 (from 5% to 7%). 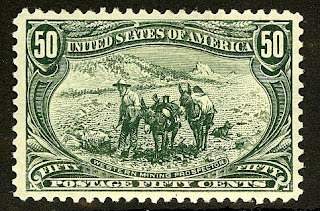 It seems reasonable to assume that as the middle class grows in developing countries, more people will be able to afford keeping a pet, and therefore more stamp collectors will collect dog and cat topicals.